What we often find in projects is that it is not unusual for Owners and Managers to want as much control of their project’s implementation as possible. 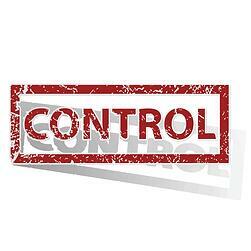 However, the reality of the situation is that no one has complete control over everything. There are compromises that must be agreed upon at the signing of the contract and later pursued during implementation. The strategy to mitigating any “control issue” is that all parties involved are committed to developing a trusting and collaborative relationship – one that achieves what is best in the interests of the project through the following actions. Of all of the design-build delivery methods, the use of progressive design-build (PDB) offers Owners a greater opportunity to affirm both the level and amount of control they desire in a project through a collaborative process. This process occurs because PDB delivery offers a single point of accountability that fosters trust with the selected design-build team; and at the same time provides a singular model which allows for the Owner/Manager-team to pursue building greater trust on a progressive basis as the team continues to collaborate throughout the design development process. Design-build delivery facilitates a trusting and collaborative process because (and depending on the method) separate contracts for design and construction require the design-build team to be financially accountable for the processes of design and construction. Thus, Owners minimize the potential for contentious relationships to materialize. Furthermore, as an Owner, you have the ability to achieve the level of control desired over the management of the project through the risk allocation process. Again, using a progressive design-build delivery model, Owners are able to obtain quality input at the design level and real marketplace pricing earlier in the process. The bottom line is that having the design-builder collaborative with the engineer elevates the consistency in pricing offered, as typically the builder will stand behind each milestone estimate. This early pricing allows Owners to realistically evaluate options, reduce (or add) scope as needed, adjust budgets earlier in the design process, and achieve the appropriate level of control that works to the success of the project. Author Charlie Rocheleau is a Project Manager with Haskell and has more than 20 years in the design-build industry, specializing in bringing projects to a successful conclusion through collaboration and managing risk. Rocheleau will be the Haskell Team at Booth 90 of the Chesapeake Tri-Association Conference in Ocean City, Maryland on September 1st and 2nd. Come meet Charlie to discuss this blog and pick up an education registration flyer.